The Savona Tangier Med ferry route connects Italy with Morocco. 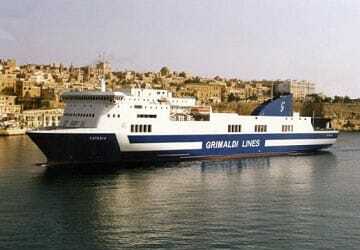 Currently there is just the 1 ferry company operating this ferry service, Grimaldi Lines. The crossing operates up to 1 times each week with sailing durations from around 47 hours 30 minutes. Savona Tangier Med sailing durations and frequency may vary from season to season so we’d advise doing a live check to get the most up to date information. Prices shown represent the average one way price paid by our customers. The most common booking on the Savona Tangier Med route is a car and 2 passengers. The Italian town of Savona is located in the northern Italian region of Liguria, in the Riviera de Ponente on the Mediterranean Sea coast. The town's industrial past is dominated by its iron industry and at one point it had many iron-works and foundries, shipbuilding, railway workshops, engineering shops and a brass foundry. Christopher Columbus was one of the town's most famous residents who reputedly farmed land in the area while chronicling his adventures. 'Columbus' House' is situated between vegetable crops and fruit trees, in the Savona hills, and is one of several residences in Liguria associated with the explorer. There are many things to see in the town and its medieval centre is worth a visit. The Baroque Cathedral di Nostra Signora Assunta managed to survive the destruction by Genoese forces in the 16th century and so too did imposing Fortezza del Priamar. The fortress guards a couple of sculpture museums and the Civico Museo Storico Archeologico, which displays archaeological finds. 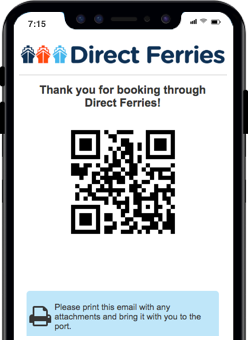 From the town's port Corsica Ferries is the principal ferry operator to Corsica, offering a weekly sailing to Bastia and a weekly sailing to Ile Rousse and Clavi. The crossing time is around 3 hours for all three destinations.